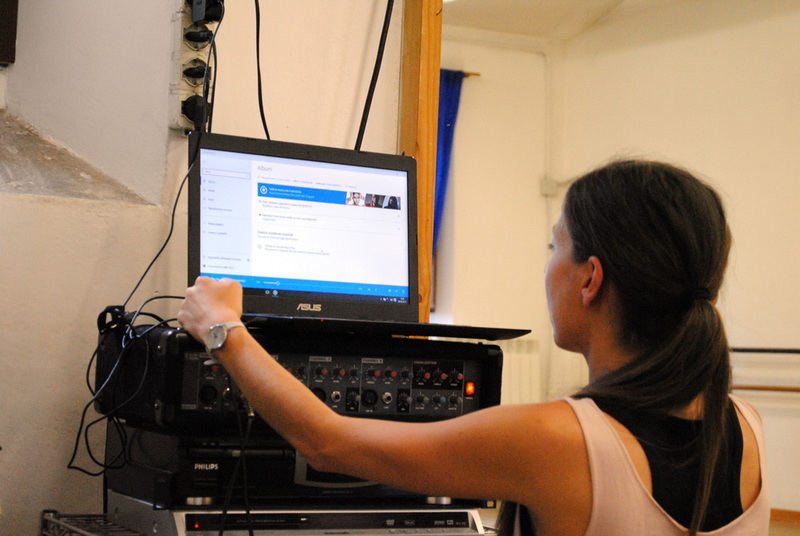 Roberta Sandreani squats in front of her computer, scrolling through a playlist of songs; she fidgets with knobs on a sound system, then double clicks on a song. 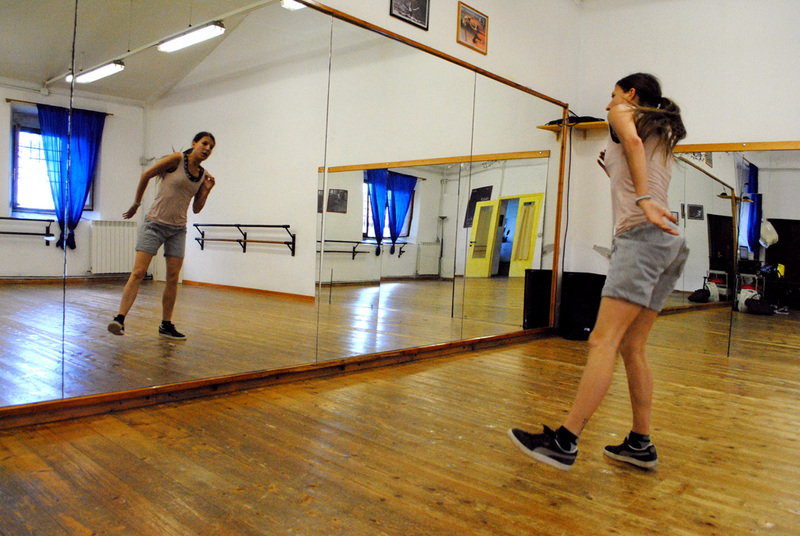 The recognizable bassline of a hip-hop song echoes inside the dance studio of Movimento E Fantasia (MEF). She walks to the center of the studio, pivots on her left foot to face the wall-length mirror covering a side of the room, and begins to stretch. Without any lead-in, the song shifts, and she flings her body to the left, takes a hard step, and begins her dance routine. As the first song continues, Roberta creates a seamless mix of steps: B-Boy, Wu-Tang, Pop Lock and Droppin It, as well as an endless assortment of unrecognizable moves. She seems to challenge her reflection with each move as if she were engaged in her own personal dance battle. Roberta blends sharp movements with fluid ones to create a hip-hop dance routine fit for a dance studio in the street-style metropolitan areas of Los Angeles or New York City; yet here she is in Cagli—a small town in the Marche region of Italy. Roberta says she began dancing when she was nine years old. Originally dancing classical ballet, she transitioned to hip-hop after falling in love with the style. One of her joys is discovering hip-hop beats or songs mixed with classical ballet music. A quick Google search results in several hip-hop adaptations such as Tchaikovsky’s Dance of the Sugar Plum Fairy and even the Nutcracker. When asked about her choreography process, she says, “The music comes first. Always, because the music will tell you how and what movements will work.” She explains that she first checks in with the studio owner about the type of dance and dancers she will be teaching. She also asks about the song choice. From there, she stages the dance. Roberta says she could not choose between teaching and dancing. “I love both,” she says, adding the two activities fill her with pride and joy. As Roberta begins her second dance routine, she makes evident the contrast between her humble demeanor and her powerful moves. 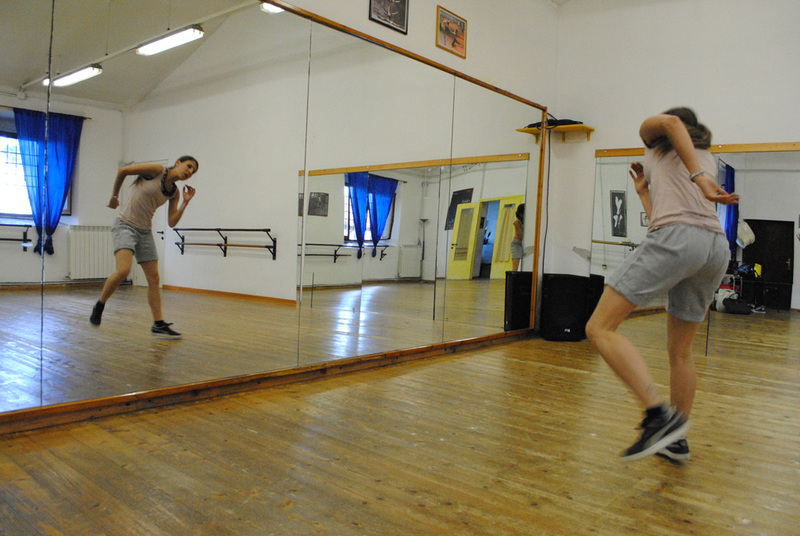 She infuses emotion into every shift of her body, lift of her foot, shuffle, and arm cross. Every bend of a joint and head twist meets the percussive beat reverberating from the speakers. As the song nears its end, her right heel kicks the floor, and with the weight of her body, she pushes back onto her left foot and raises her left arm while her right arm drags behind to maintain balance; her face reflects full focus. Then the song ends, and she breathes heavily, welcoming the applause. “Prego,” she says with an exhale.